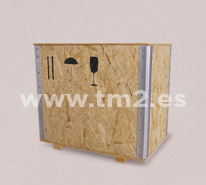 Folding boxes of OSB or plywood panels, served with a base and a lid. 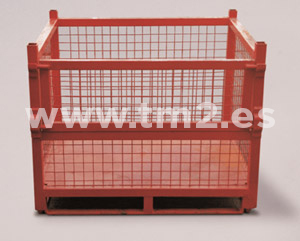 Wooden rings with metal edges to form containers. 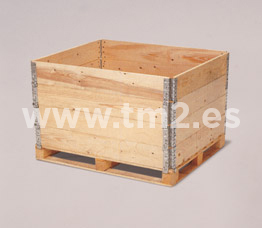 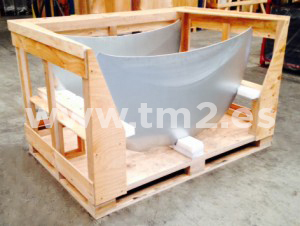 Mechanized wooden containers for automotive parts and for various uses.